toThere has been a lot of traveling the past couple weeks! 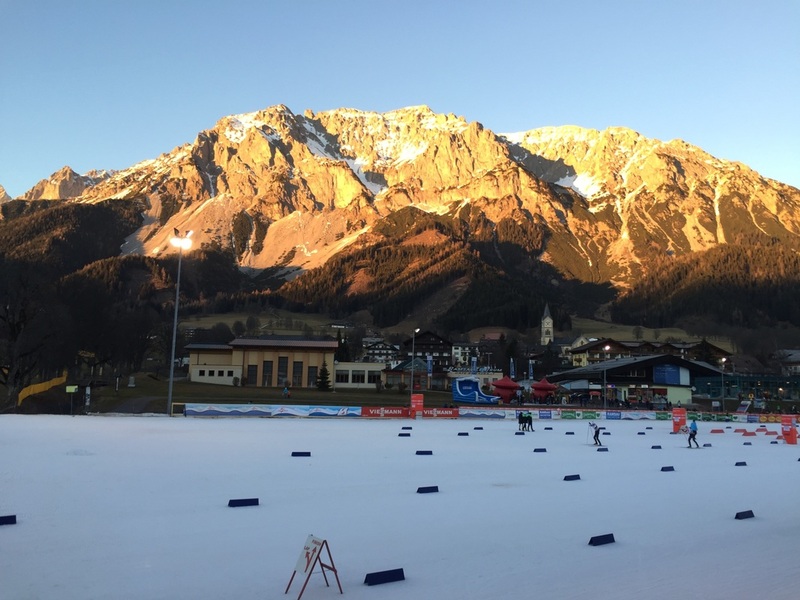 After training in Planica, we drove to Chaux Neuve, France for the World Cup. Our team had a great first period of the season and we were able to ski 5 athletes in the World Cup for the second period. The weekend in Chaux Neuve didn't go as well as I had hoped andy jumping was below average. Fortunately Taylor and Bryan had a good showing. The first day of competitions they were both able to sneak into the top 20, finishing 19th and 20th respectively. The second day was another good day for the two brothers. The second day, was a little tougher for the team. Bryan was the only one able to make it into the top 30. On the third and final day, the weather took a dramatic turn. We woke up Sunday morning, looked out the window, and saw it snowing...very hard. The jumping was delayed and the jury decided to do a one jump 10k instead of the two jump 15k. Even with the tough conditions, Bryan had one of the best competitions of his career. He had a great jump and it put him into a good position going into the cross country race. It continued to snow throughout the day making the race very challenging. But Bryan was to have a great race. He was able to ski from 9th up to 7th in the overall and finished with the fastest time of the day! It was a good day for U.S.A Nordic Combined! I am now in Planica training for the week before the Continental Cup. I have been working hard to improve my jumping and try to earn another shot at the World Cup. I have some work ahead of me and it isn't going to be easy. Luckily I have my teammates, coaches, family, and friends to help support my efforts! I will keep you apprised of my training and where I am heading next! 2016 has been a slow start. On January 3rd, I flew over to Europe for the first Continental Cup of the second period in Hoydalsmo, NOR. We had a long couple days of travel once we left Park City. First a long flight over to Europe, then a long drive up to Denmark, spent the night in a hotel, woke up early and drove to the tip of Denmark, hopped on a boat to Norway, and then finished the travel with a little more driving. It was close to 60 hours of traveling but we were glad to be in Hoydalsmo and once again where there was lots of snow! Scandinavia has been having a great winter so far, similar to Utah and Colorado, so we took advantage. We were able to get in several cross country skis before the weekend which definitely helped our bodies adjust. The weather for the weekend was good, and the competitions ran smoothly. Unfortunately, on Saturday's competition jump I crashed and strained my lower back and hit my head pretty hard. Luckily I didn't have a concussion or serious injuries but I was very sore and decided not to race in the afternoon and try and save my energy for the following day. On Sunday, I warmed up well and decided to jump. It was probably not the best decision since I wasn't feeling 100%. I landed this time but I definitely felt my back acting up. Talking to the coaches we thought it was best just to sit out for the rest of the day and wait until the following week so that I could get healthy again. This was not the way I wanted to start out competitions in Europe. Fortunately, I would have some time to figure things out and recuperate in Slovenia. After the weekend, we had another long two days of travel down to Slovenia. We have already had two jump sessions and I am making some progress. During training today, I made one good jump but got off balance in the flight and... you guessed it. I crashed. The second time in under a week! There's a first time for everything. I was pretty upset, and sore, as Jasper and our wax tech helped me from the out-run. I was very lucky I did not get injured, knock on wood. As I talked to my coach on the radio, he said that it was a much better take-off and didn't know why I crashed. I was very frustrated with myself for my technical error and contemplated whether or not I should jump. My hip flexor was very sore but everything else was feeling ok. In the end I knew that I would regret not going up and taking another jump. I was happy that I did. My hip flexor is still very sore but was able to do a limited training session in the gym in the afternoon. I think I will be able to jump tomorrow with no restrictions. I will keep you updated on training for the rest of the week and hopefully the next time I post on here, there won't be anymore crashes to talk about! The past is the past and it is time to move forward and keep improving. I have some big goals for myself this year and there is a lot of work to be done! I hope everyone is having a great beginning to 2016! 2015 is now over and I am looking forward to seeing what 2016 holds for me and the team. 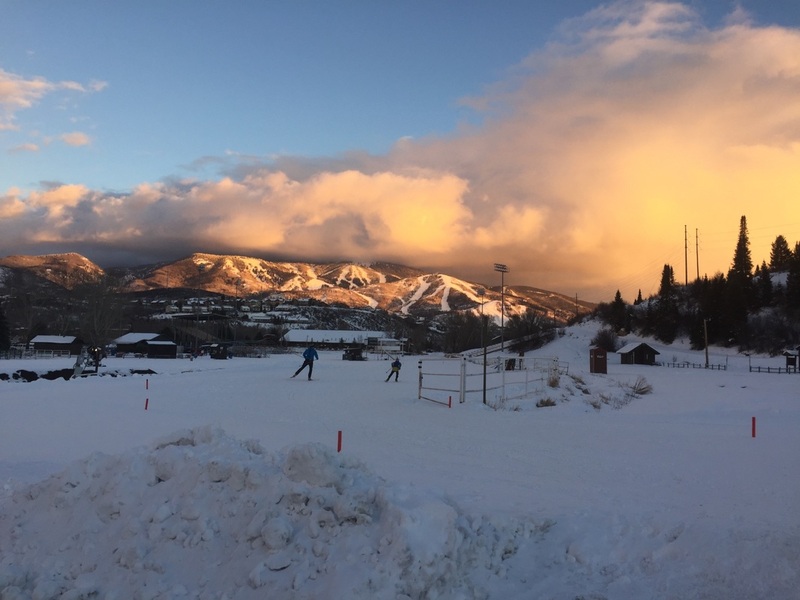 I returned to Park City after a few days home in Aspen for my birthday and Christmas. It was a much needed mental break from ski jumping and it seemed to pay off. My first session back on the hill was very good and I kept improving throughout the week. 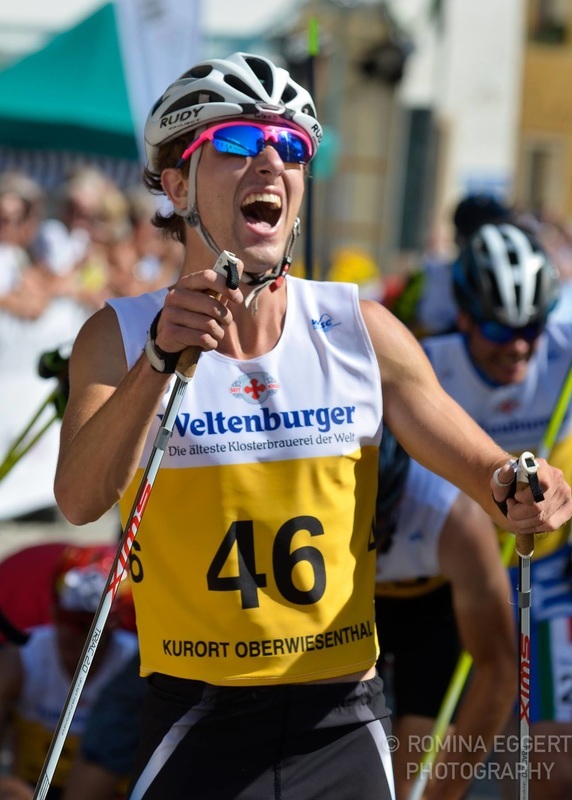 I was really happy, since I didn't have a great weekend in Ramsau for the World Cup. After Christmas, our original plan was to fly over on December 28th for the World Cup in Klingenthal, GER but unfortunately Central Europe didn't have any snow and F.I.S. not only canceled the Klingenthal World Cup but the World Cup the following weekend in Schonach, GER. Luckily Scandinavia has had a good winter, so four of us flew over on January 3rd and our first competition of the New Year will be in Hoydalsmo, NOR on the Continental Cup circuit. We are happy to be back in Europe and my goal is to keep my level of jumping high throughout the rest of the winter. I will keep updating my blog in the upcoming weeks about my travels and results! Happy New Year everybody! The summer is now over and the leaves are changing. That only can mean one thing, winter is just around the corner. I am currently over in Slovenia with the rest of the national team and a couple juniors. 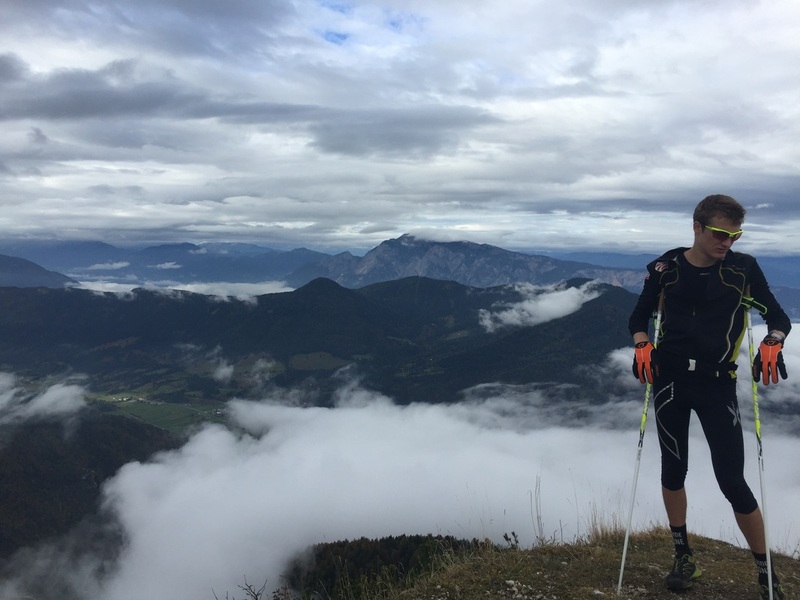 It has been a great summer and fall, so let me catch you up with all my training, competitions, and travel. 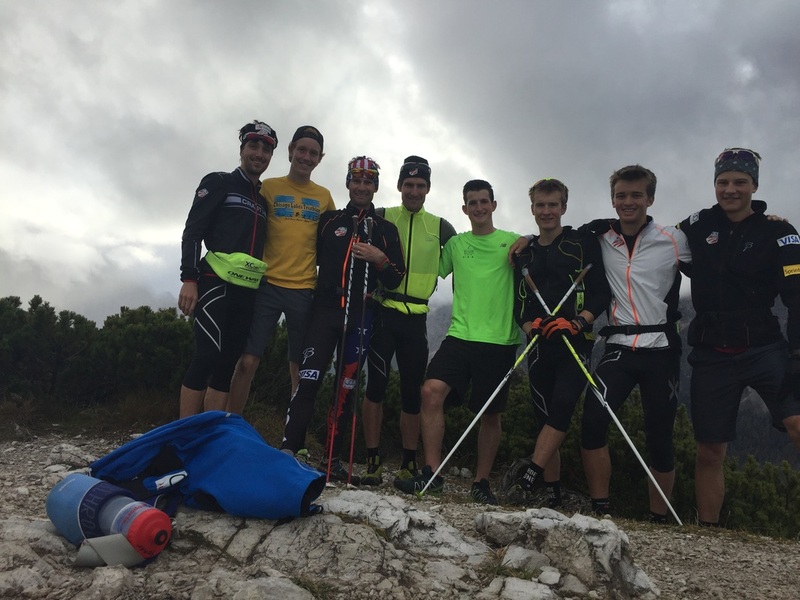 At the end of August, I traveled to Europe with the team to compete in the nordic combined Summer Grand Prix(SGP) competitions. I had two goals for the trip. My first goal was to qualify for a World Cup event. Second was to score World Cup points. The first competition was in Oberweisenthal, GER. I had never jumped there before and was looking forward to jumping on a new hill. On top of that, my training during the first three days in Europe had gone really well. I jumped pretty well and ended up qualifying for the first SGP. The roller ski race went even better! I wasn't feeling great during the days leading up to the race, so I went in with an open mind and planned on skiing my own race. 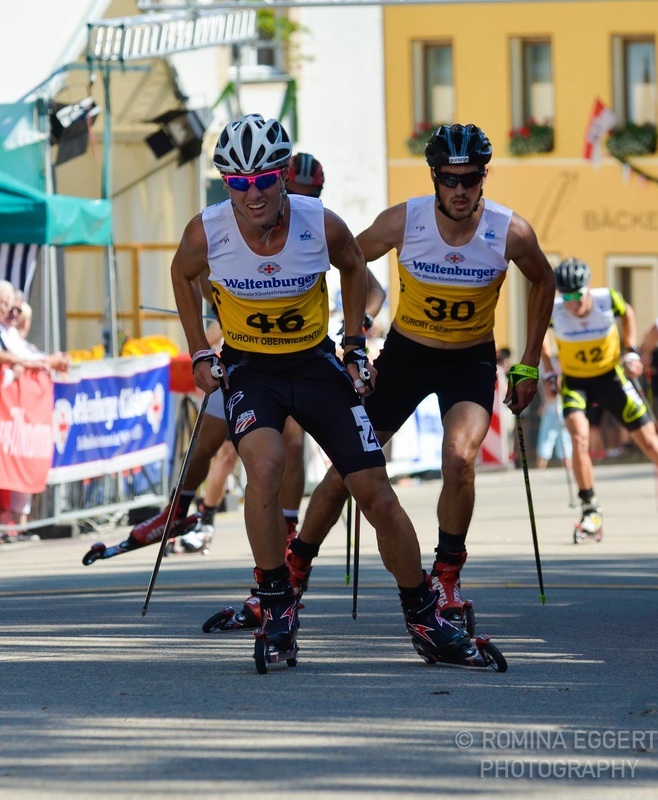 It wasn't until I crossed the finish line that I realized that I had skied up to 29th place and the 4th fastest time! I had just scored the first WC points of my career! I was extremely happy with my overall performance and was looking forward to the following competition in Tschagguns, AUT. After Oberweisenthal, we drove to Tschagguns, AUT for the next SGP. I was excited to keep the momentum rolling. I ended up qualifying once again for the SGP. During the jumping competition, my teammate Adam and I both had our best jumps on the hill. Everything seemed to be going well, until the weather took a turn for the worse and they had to use the provisional jump for the roller ski race. I was a little upset, but these things happen and it is important to not dwell on the things that I can't control. I started the race in the 40's and skied up only a couple places. I was still happy with the race because it was a difficult course to make up time on other skiers. Overall, I was happy with the competition, and was looking forward to the final two SGP events in Oberstdorf, GER. After Austria, we packed the vans and drove to Germany for our final two SGP events. It was decided that for the first competition that Jasper and Ben would get subbed in for Adam and myself, giving them a chance to compete for the first time this trip. I was completely ok with the decision since I had just raced twice in three days. The second day, I was hoping to ski, but I had been struggling a little more on the larger hill(HS140) than the past few days, so the coaches and I thought it would be best to continue to ski Jasper. Jasper has had an amazing summer and his jumping/skiing are coming together really well. ​All in all, our team made some significant improvements on the ski jump over the past week and a half. 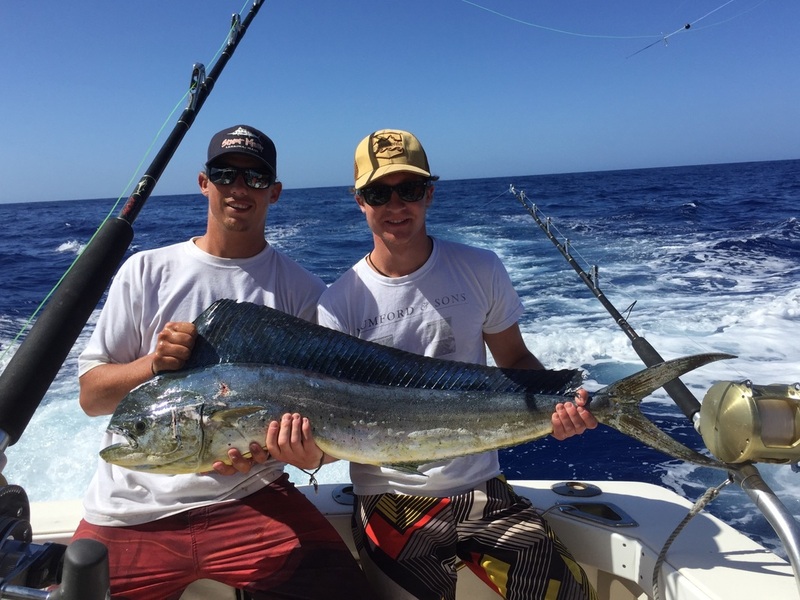 We qualified all four of our quota spots in every competition, and even Taylor and Bryan had some great results. I think our team came away from the trip with confidence and on a positive note. After the SGP tour around central Europe, Jasper, Ben, Adam, and I decided to take a few "vacation" days and head to Barcelona. We toured the city on mopeds, ate some great food, went to the beach, and took in the Spanish night life. We were there for three nights, and it was a much needed break. After Spain, I returned back to Park City for a couple weeks. Training in Park City went really well and was getting anxious to get back to Europe. I was only in Park City for three weeks, and then returned to Europe for one final fall training camp. And that brings us to now. I have been in Slovenia for a week and things are going great. 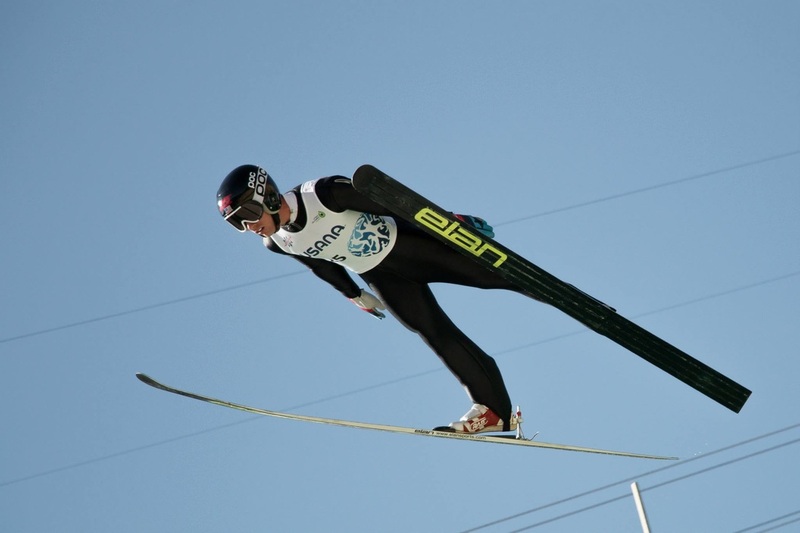 We have been jumping in Planica, SLO, Kranj, SLO, and Villach, AUT. Today we went on a hike to the peak of a mountain that overlooks Austria, Italy, and Slovenia. We are here for another week and have some fun days of training planned. I will continue to update my blog, pictures, and whereabouts. Hope everyone is ready for the snow to start falling! Hey everyone! Hope your summer is going well! I can't believe it is already mid-August. Seems like the ski season is just around the corner! It has been a long time since I updated my blog and website and I will try and fill you in on everything I have been doing this summer. In early June, our team flew to New York City to to support one of our biggest team sponsors, Basin Holdings. This year they put on a Ride to Conquer Cancer charity ride! It was an absolute blast! The ride was two days and around 130 miles. After that, our team and Basin kept riding for another three days. We rode from NY, to Rhode Island. All in all we had an absolute blast and I hope to return next year! We finally started jumping at the end of June, which is later than normal. Everyone was really excited and anxious to ski jump again. My first couple sessions were really good. Actually the best sessions I have had in almost a year. I was happy to start the summer jumping off strong and was hoping to carry the momentum to Steamboat Springs for the 4th of July competition. The Steamboat camp went well. I felt really strong on the cross country side. However my jumping struggled a little more in Steamboat. I didn't have great jumps but was able to ski up to 4th in the competition. I also was able to see my parents. They drove from Aspen to watch the event. I hadn't seen them in a long time. After Steamboat we returned home for a couple big volume training weeks and some bike races before U.S. Nationals at the end of July. I felt absolutely amazing in these weeks. My endurance was at an all time high and I was lucky enough to pull my jumping back together the week before Nationals. For the first time in two years, my jumping was finally back! During this time I did a little bike racing as well. Taylor, Jasper, Adam, and I went to Captiol Reef National Park(3.5 hours south of Park City) for a three day stage race. I hadn't sat on a bike in almost two weeks so I was a little nervous. However we all did really well. Taylor ended up winning Cat 1-3, and Adam won the Cat 4-5. Jasper and I were 5 and 6 in the Cat 4-5. It was a great race for team Colesport Racing. We had only one week after the bike race to prepare for nationals. Fortunately, my jumping turned around just in time for the competitions. Nationals went well and I was happy with my performance. 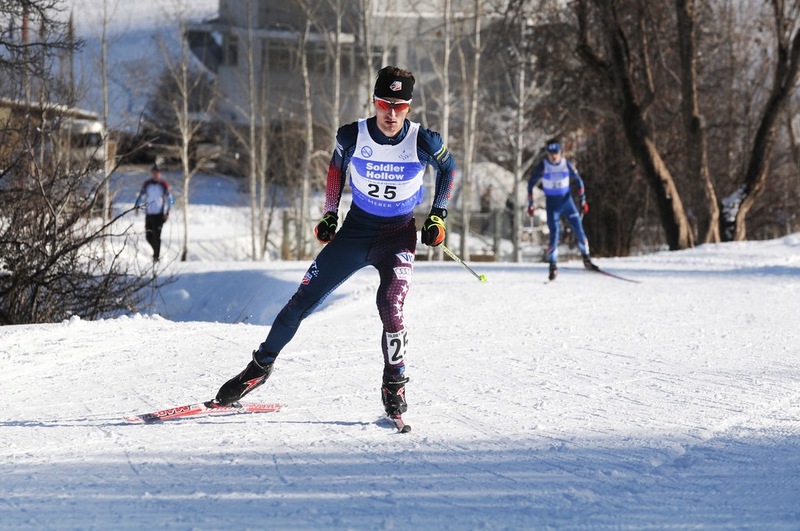 I ended up 4th in the nordic combined national championship behind Bryan, Adam, and Taylor. This was the best national result I have had to date. With nationals behind us, our team now has our sights set on the Summer Grand Prix(SGP) events in Germany and Austria. I have never competed in a SGP so I am really excited. On top of that my level of jumping has improved tremendously and I am looking forward to seeing how I do in Europe. I am in Park City this week and then head back to Aspen with the team for a fundraiser on Tuesday. We will only be there a couple nights and then return to Park City for three nights, before heading to Europe. I will keep you updated more often, now that we are going to start traveling and competing. I hope everyone is enjoying their spring! It has been a great few months so I will catch you up on what I have been up to. As you know I returned home to Aspen at the beginning of March. While at home I worked at the Snowmass ski resort to try and make a little extra money. It was a great experience and I hope I can do it again next spring. After the ski areas closed, I drove back to Park City, for a few days of physical testing at the Center of Excellence. The testing went better than expected and I was really happy with my results. I was only in Park City for 48 hours and then drove back to Aspen with Adam and Ben Loomis for the annual hut trip. It was a three night excursion and we made the most of it. The fist day Adam, Ben and I skied into the hut and then went on a long tour in the afternoon. I was worried that the snow wasn't going to be great due to the warm and summer-like weather Aspen had the past two weeks, however it was some of the best spring skiing I have done. The following day we trekked over to another hut and spent the next two nights there. Again we had some very long, but good, days of touring. The snow at the new hut wasn't quite as good as the first one but we made due and had a blast! On the last day we skied out of the hut to our cars and went our separate ways. Adam and Ben returned to Park City and I stayed in Aspen for several days before heading to Maui for a little R&R with the family and good friend Riley. Hawaii was a blast. 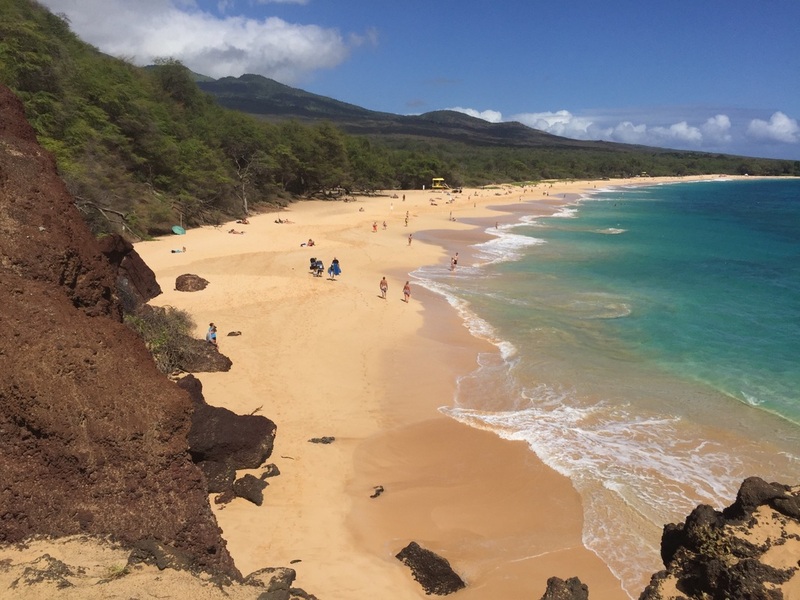 We stayed on the South shore in Wailea. Since there is so much to do there our days were packed with adventures. We snorkeled with turtles, hiked around Haleakala Crater(10,023ft volcano), went deep sea fishing, and of course went surfing. One of the days Riley and I met up with some of my friends on the U.S. Alpine team who coincidentally were on Maui. We drove up to the North shore and went surfing and boogie boarding for the day. All in all, we had a great week in Hawaii and I hope to return again one of these years. After Hawaii, I returned to Aspen, had a few days to pack, and then drove to Park City. I have now been in Park City for about two weeks and the team is in full training mode. After just three days back on a road bike I decided to do a 50 mile road bike race down in Salt Lake City. I ended up doing well, finishing 19th out of 60 riders and 4th in the Category 4 division. Needless to say, I was really happy to have rode so well. This past week the weather took a turn for the worse and rained almost everyday and ended the week with quite the snow storm. Typical spring weather in the mountains! As for me, I am doing really well. I feel healthy and like I am already in better shape then I was this past winter. I am in the gym everyday focusing on ski jump training and weights and outside everyday riding bikes, running, or roller skiing. On top of training, I have started two new online classes, and I am working about 3 nights a week. I am very busy but I am enjoying every minute. 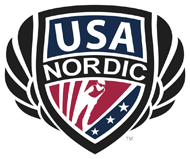 Lastly, I wanted to share that I picked up a new nordic pole sponsor for the upcoming season. 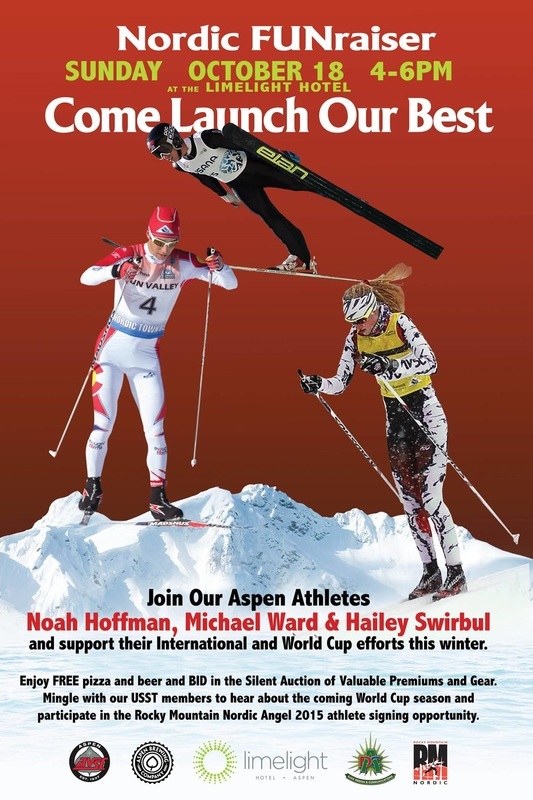 One Way Sport is a high end company and I am very excited to ski on their poles this year! If you would like to take a look, please go to my sponsorship page, click on their logo on the left of the screen, and it will take you right to their website! Again I hope all of you are having a great spring and have had a great Mother's Day weekend! First Day of Training for the Spring! Sorry for being out of touch lately. I hope everyone is enjoying the "summer-like" weather! I have had a wonderful spring! The weather has been warm and absolutely beautiful in Colorado. 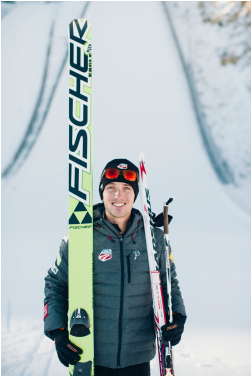 After my last competition in Klingenthal, GER I returned to Park City and decided to head back to Aspen. I ended up spending the whole month of March there which was a nice change of pace. It has been great being able to see my family and friends who came into town for spring break. While at home I also got a job up at a restaurant on Snowmass ski area. It has been great working in a new environment and I have really enjoyed the job. On top of work, I have also been training. My first weeks back in Aspen, I trained with the cross country team from my local club, AVSC. It was fun to be able to ski with the kids right before they headed off to Junior Nationals. One of the days I joined them for classic intervals. For those of you who don't know, nordic combined only uses the skate technique rather than classic technique. I was hurting the next day to say the least. In the past couple weeks, the snow has practically vanished making me move my training to "higher" elevations. I have gone on several skis up to the Maroon Bells and up Independence Pass. 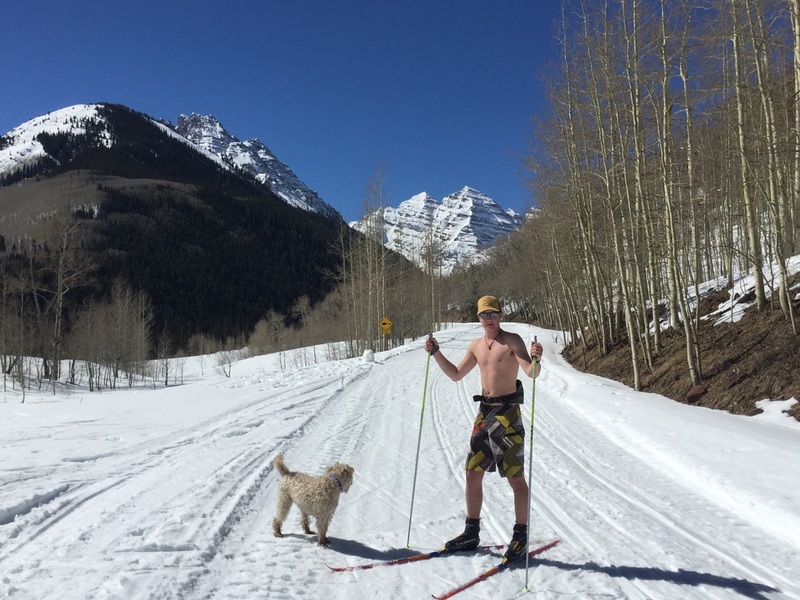 Below are pictures of me and my friend Riley and his dog, Daisy, skiing up to the Maroon Bells. And because the cross country trails are now all gone, I have been skinning up to work at the restaurant on the mountain. I finally decided last week that it was time to break out my roller skis. For the first roller ski of the year, I went on a great roller ski around Aspen. The weather was beautiful! Below is me half way up Castle Creek. The time at home was much needed. I am now back in Park City for a couple days for physical testing with the rest of the team. Today we tested our skate VO2 max and my test went better than expected. Below is a picture of Taylor Fletcher mid-test and his brother Bryan warming up in the background. Tomorrow is our last day of testing. We will do the double pole VO2 test in the morning followed by the hemoglobin tests in the afternoon. On Saturday I will head back to Aspen for the annual hut trip. I will be back in Aspen for about a week and a half and then I will be going on a short vacation before returning to Park City for the summer. Again I hope everyone is having a great spring and I will keep you posted! My international competition season has come to an end. I had a lot of fun this winter even through the hard times on the jumping hill. 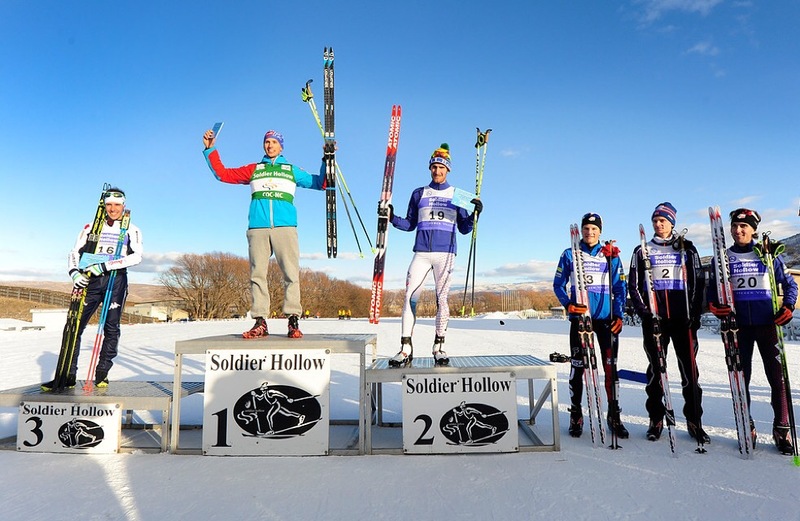 I feel more motivated than ever to continue to pursue nordic combined. I want to thank my friends, family, and sponsors for helping me stay focused and keep my eye on the prize. This season would not have been possible without any of you! The weekend in Austria didn't go as well as I had hoped. I was focusing on some things that my coach Martin and I have been working on for a while. I did have a further jump during the competition, however I was still a long ways back from the leader. I skied an amazing race with the 8th fastest time. Unfortunately, not enough to score COC points. It was a frustrating weekend, but it was great to have my parents there to support me and the team. Great to see the parents in Ramsau! 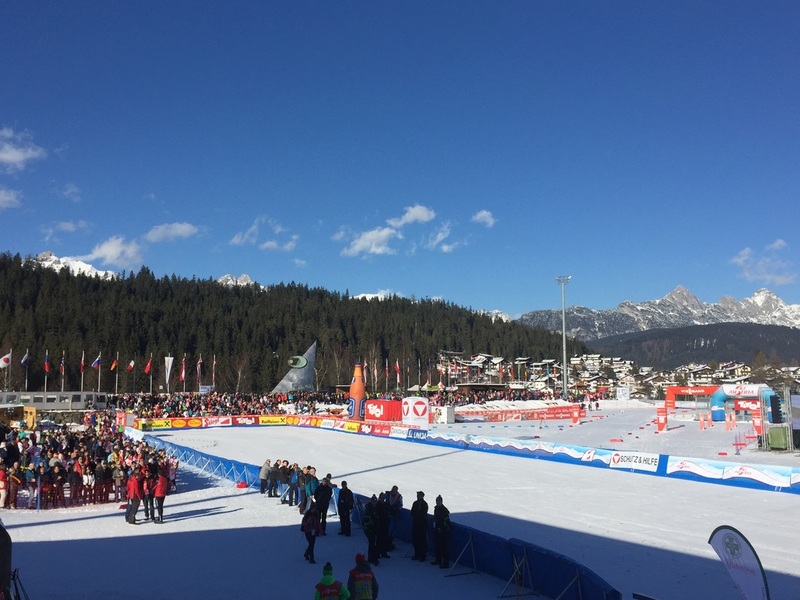 After Ramsau, the team parted ways. 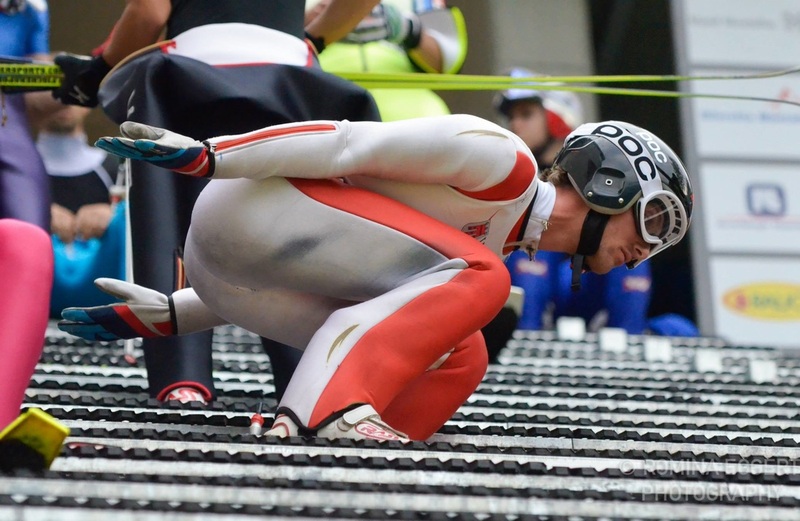 Taylor, Adam, and Ben drove to Munich and then flew up to Sweden for World Championships. Jasper, Ben Loomis, Colin, and I drove back to Planica for a couple days of training before driving to Klingenthal, GER for the next competition. The few days in Planica were good days for me to focus on my jumping and try and finish the season on a positive note. After Planica, we drove up to Klingenthal and arrived last Thursday. It was my first time back in two years and I was really excited. The weather in Germany was great and the competitions ran very smoothly. The first day of competition was another two man team event. Once again Colin and I were a team. We had a rough time on the jumps and started too far back from the leaders to make up enough time. We both skied very fast races and finished with the 4th fastest team time. I was happy to see that we were both skiing very fast. The next day was the individual event and my last international competition of the season. I felt good and was confident. I did have a better jump than the previous day which was a step in the right direction. The race went really well and I finished with the 13th fastest time. Unfortunately I was 40th overall. I was a little disappointed but my coach and teammates cheered me up. It was a tough season overall but I am looking forward to this time off to focus on training smarter. I am now back in Park City for a couple days before heading home to Aspen for about a month. I have talked to my coaches and we came to a decision that I won't jump much more this winter. We agreed that I am physically capable of jumping with the best in the world and I know I have the talent. But now it is time for me to focus strictly on the mental aspect of jumping. This is where I have been struggling. 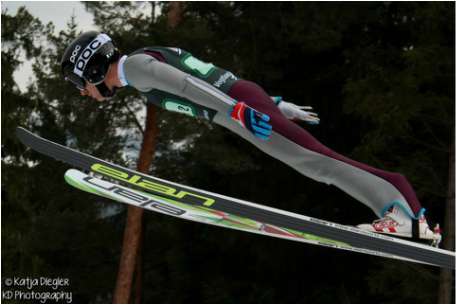 Many ski jumping sports psychologists and coaches agree that to be a great ski jumper it involves 20% physical skill and 80% mental skill. My plan is to work with our team sports psychologist, Rich. He has worked with many of my teammates over the years as well as many professional golfers on the PGA tour. I have worked on and off with him this past year but I now know it is time to commit fully to his program. I plan on returning to Park City sometime in April to get back into training with the team. My goal is to find a plan that works and stay off the jumping hill until the end of May or beginning of June. I think this time away from jumping will help me in the long run. I hope everyone is enjoying the remaining months of winter! I will update my blog once a week during the offseason to keep you apprised of my progress.